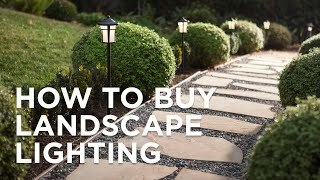 Add beautiful lighting to your garden areas with this energy efficient, long-lasting LED landscape light design. Our super efficient, long-lasting LED pagoda landscape light will brighten your garden pathways, patios and more. 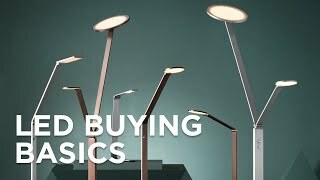 The low voltage design features an LED array that's both energy efficient and long lasting. The light has a textured black finish and frosted glass panels. For low voltage landscape lighting systems. Light head is 5" wide x 4" high. Pole is 11" high. Ground stake is 6 3/4" high. 4 watt built-in LED. Comparable to a 35 watt incandescent bulb. 340 lumens. 3000K. Pagoda profile, LED landscape light by John Timberland. Textured black finish, frosted glass panels. For low voltage landscape lighting systems. Comes with 20" of landscape wire. Is the main body of the fixture made of metal and is the light part glass or plastice? BEST ANSWER: This is constructed of metal and glass. We purchased 3 pagoda style Y7217 low voltage LED landscape lights about 2 years ago. Now, only one of them works. Checked the wiring. It is all connected> Can you help??? We are looking for a light with a more stout pole than our current one that did not hold up well. What is the circumference and/or diameter of the pole on this light? BEST ANSWER: We bought three of these a couple of years ago for the front pathway of our house. We love them. We’d bought two other types of lamps that didn’t hold up. I’d guess that the pole is about 1” in diameter and it goes farther into the ground than the previous ones we’d bought. Those small spots are perfect now my next question is there a larger spot option that will match? Not a flood. Just a larger spot? BEST ANSWER: I would recommend the Super Duty 9" spot light. Click on the image below for more details. 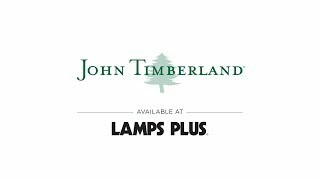 BEST ANSWER: The John Timberland spot lights that are recommended to accompany this fixture are Style #2C502. Click on the images below for more details. What material are the lights and streak made out of? I have looked everywhere even on different site and still can't find it. BEST ANSWER: They are metal construction with a painted black finish. BEST ANSWER: This is low voltage - 12V. Nice lights while they last!! I ordered six of these. Two of them started to get dim within a month of installing them and now do not light at all. I checked the connections and they are fine. I thought I might be able to replace the led only to find it is not a led bulb that can be replaced. Hi Doug A., so sorry to hear that some of your landscape lights are no longer lighting up. We have reviewed our product description and can confirm that this design has a built-in LED in each light, therefore it cannot be replaced. We have forwarded your comments to our product team, who will review and correct if needed. If you need assistance, please reach out to our customer service team directly via phone, email, or chat. Thank you. The six LED pathway pagoda 15 in high low voltage landscape light set I purchase met my expectations and is doing a great job of lighting up my front walkway. Perfect for garden pathways and walkwaysthis LED landscape light kit comes with four black path lightsa 45-watt transformer with photocell and timerand a low voltage landscape wire. 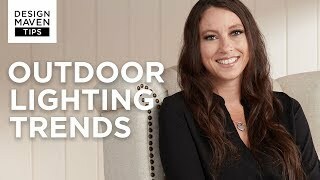 Add chic style that doesn&#39;t cost much to power with this sloped-shade LED deck light in textured bronze finish.